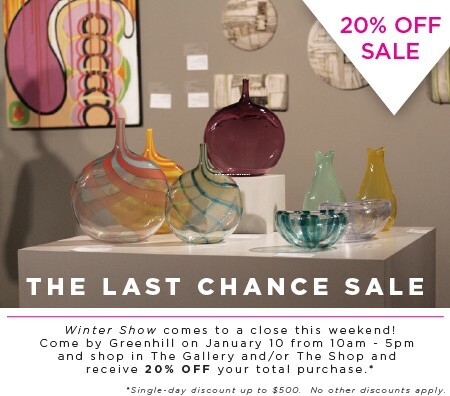 Friday, January 10 is The Last Chance Sale at Greenhill. As Winter Show is coming to a close, this is your last chance to purchase great art from North Carolina Artists in The Shop and The Gallery at Greenhill. We're open 10am - 5pm Friday, see you then! If you have questions, please call us at 336-333-7460 or email marketing@greenhillnc.org.